What Can We Expect From Adele’s New Album? You can’t move for rumours about Adele’s new 2015 album, so we take a look at what we can expect from the ‘Rolling In The Deep’ singer’s much-anticipated third album. 1. 1. When is Adele’s new studio album going to be released? As yet, there has been no official release for her next album, but we are expecting it to be a 2015 release. However, her longtime producer Paul Epworth revealed to Billboard in January 2015 that the album will "come when it's ready". 2. 2. Will Phil Collins’ make the album? 3. 3. What is the album going to be called? Well, if her previous album names (19 and 21) and her this 2014 tweet are anything to go by, the 26-year-old's third LP will be called '25'. 4. 4. Will the album be full of sad songs again? 5. 5. Who is Adele working with? Adele has teamed up with OneRepublic frontman Ryan Tedder on the album. They previously worked together on 'Rumour Has It' and 'Turning Tables' on '21'. In a 2014 interview, Tedder said: "I know I'll have to bring my A game, I know that much." 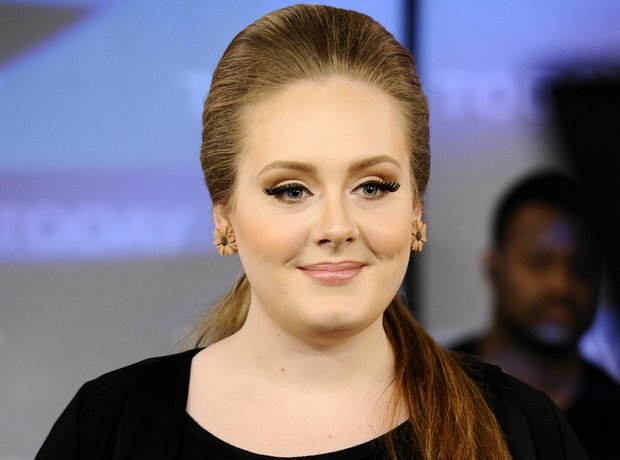 Tedder has also said that Adele is "sounding better than ever" in the studio. 6. 6. Is Pharrell on there? 7. 7. Is there going to be a song called 'Devil On My Shoulder'? Perhaps. Adele fans have been speculating online after a song called 'Devil On My Shoulder' was registered online against the singer's name and producer Greg Wells. 8. 8. Will the new album be well-received? We don’t think we’re being presumptuous in saying: YES! We would expect huge album sales and success once the record arrives. After all, her ‘21’ album sold over 26 million copies worldwide.